It is always good to read a friend's review. And especially for a book which i will never read. Thanks a lot for it! I really appreciate it! First things first, Many including me respect Vajpayee. 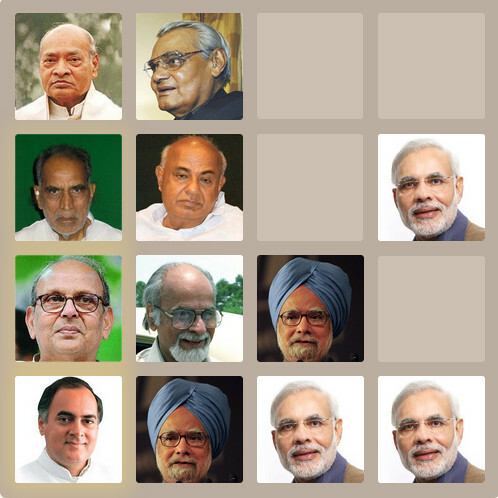 NDA's term during govt. was good for the country overall. This book (by your review), as i see it looks more like a history lesson of Indian politics than Mr. Advani's autobiography. But again it is his book and he can write whatever he feels like. But still i have to comment on BJP's secularity. Advani and many others were there when Babri Masjid was being demolished. There are videos showing him at the scene. And BJP has openly associated itself with those religious fundamentalists (RSS). BJP has repeatedly used religious fundamentalism in its politics and it is a fact. This does not mean that other parties are secular but BJP has taken it many steps further. Lastly, lets look at it from BJP's standpoint. Govt in 70s,80s was failing. There was corruption everywhere. They had to do something, so they used religious fundamentalism, got into power and then did some good things, and those good things must be appreciated. And as a result, today we have Indian Mujahideen. My point being that BJP can say that all that was done for a greater good but its price is too much to pay. Those are my thoughts and you may choose to disagree. I admit that there is a lot to learn for me but frankly i cant see me respecting advani. This book is more like history, and not like auto-biography of Advani. It was like, he wrote his auto-biography in 50 pages, and for each page of his autobiography, he added 20 pages of history at that time. I am not saying that BJP is secular. What I said was, BJP is more secular than any other party. Even this statement is not exactly correct. There are parties like loksatta, Paritran, which are more secular than BJP. What I meant was, among all the major parties BJP is more secular. Regarding Babri Masjid, many of the BJP leaders were at the time of demolition. L.K.Advani described the events on 6th Dec 1992 in many pages in his book. He or any BJP leader never said that, they were not present. But, I don't think they were behind the demolition. If they were behind the demolition, then why did not P.V.Narasimha Rao take any action against them? Of course, he arrested Advani and other leaders for few days, and dismissed Kalyan singh government in U.P. But, arresting for few days may not be a proper punishment for demolition. I don't know the facts like who are the main people behind the demolition. One famous journalist said, "L.K.Advani would not have liked demolition. Because, if it is not demolished, by using Babri Masjid, he could have done more politics." Another fact is, Rajiv Gandhi started the issue of Babri Masjid, and L.K.Advani used it and got popularity by that. If Rajiv Gandhi had not started this, BJP would not have got this issue. He explained about the entire history of the issue in 50 pages. I don't know the real facts behind Babri Masjid, and Godhra incident. I have not seen/heard any real proof that L.K.Advani/Modi were behind those. Till I get some proof that they have done/not done it, I cannot comment on that. I do not disagree that BJP is hindutva party. But, their hindu policies are less significant, and it does not make too much difference to many people. 1. Masjid Vs Temple in Ayodhya - This is sentiment issue. Frankly speaking, a poor man in a remote village is never going to be effected irrespective of whether a Masjid is there or a Temple is there in Ayodhya. Of course, the sentiment is always there. 2. Murali Manohar Joshi was accused of introducing few hindu scriptures in school text books. When I was in high school, in most of the classes, I read muslim culture, and never hindu culture. I read more about muslim leaders than hindu leaders. If they introduce muslim culture, it is called as secular. But, if somebody else introduces hindu culture, it is called religious, and it is bad. I don't approve this kind of attitude. 3. Rama Sethu. I don't like destroying Rama Sethu more because of scientific reasons. Scientists warned that, if they destroy that, and allow ships to travel, chances for Tsunami would increase. For that purpose, I don't like destroying rama sethu. With the above kind of policies, I don't think a normal person is going to be effected significantly. However, if somebody is the reason behind riots/demolition or any kind of violent activity, then they should be arrested immediately, and government should take action against them. 1. Introduced reservations to Muslims. They claim it as secular. 2. Literally harassed few media heads for doing something legal. They used acts specific to certain castes to harass. They say it is in the name of secular. 3. They are literally donating thousands of crores (in the form of land/house/loans/travel allowances) to few sections (based on caste and religion) of people. Again in the name of secularism. There are many things like the above. But, these policies are directly effecting me and many others. In these policies, upper caste hindus are never beneficiaries. If I see all the secular/religious policies, because of BJP, people are less effected, and by other parties, people are more effected. Other parties are creating more problems in the name of secular than BJP's Hindutva philosophy. I am writing all these with the knowledge I have in Politics in Andhra Pradesh, and to certain extent in India. I am not aware of the policies in other BJP ruling states. If you think BJP has done more harm than other parties, please provide me what all it had done in the name of religion. I may change my view point. Till then, I stand on what I said, BJP is more secular than any other major party. "BJP is more secular than any other party." Well, when there are words like "more", i can not argue at all because it is relative. No matter how many cases that i write against BJP, there are equally more against congress as well. So, i will not debate on this point. Yes, it is your right to ask for proofs of advani or BJP's association with babri masjid. Recently advani was acquitted from this case and the decision was that his role was peripheral only. (1) Babri Masjid was destroyed by kar sevaks. (2) Kar sevaks come from VHP. (3) BJP was associating with VHP at that time. (4) BJP under the leadership of Advani launched the ram janmambhoomi movement. (You can read more about it online). This movement culminated it demolition of masjid. (5) Demolition happened during the rath yatra. Read the section: rise of advani. Now, surely there is no incriminating evidence because we know that whosoever comes up with an evidence will be killed. But, if you look at it rationally, do you believe that advani/bjp had no role in the demolition. Congress was responsible for the caste based politics that we see today. They created caste based division over and over again. BJP is responsible for religion based politics. And it was hindutva that got them to power. I will change my stand on proofs little bit. I don't need exact proofs. I need what most of the people (Not political parties) believe. Even if I believe that, Babri masjid was demolished because of Advani or BJP, and Godhra incident happened just because of Modi, still, I don't think I will change my stand. The reason is mainly because of the impact that made to the country. Those two events made significant impact to the country. After that, I don't see anything major on communal lines. But, for other parties, even in this year also, I have seen many signficant bad things done. Regarding the division based on communal lines, I would like to consider only the things that they have done while in power. If they are not in power, and if they could do some illegal activity, then I would say, it is the responsibility of the government at that time. (Yes, BJP was in power in both the states at the time of demolition of Babri Masjid/Godhra Incident). Since Indira Gandhi time, Congress has divided the country (atleast Andhra Pradesh) in all the possible ways (like caste, religion, and locality etc.,), and caste is just one out of many. They are doing things to divide the people in all possible ways. Because of these divisions, violence is happening between different communities (community can be of same caste, religion, or locality, or anything else based on which they divided). If the situation continues, soon, India would be in very bad situation. Unless government aborts the entire caste/religion/locality, the violence will not stop. Some form or other type of violence will always be there. The government should slowly abort the entire discrimination on caste/religion/locality. Congress has repeatedly came up with many policies, changes in the constitution to favour certain categories, and increased the discrimination. I don't think BJP has done that. Even if it had done, it would be less than 1/20th of what Congress did. Even if L.K.Advani becomes Prime Minister, I don't think he is going to bring any policy which discriminates. He obviously will not favor other categories that everyone is favoring. At the same time, he cannot give any favours to hindus or categories that he likes, because it is too difficult for him. Of course, if there are communal violence in the country because of him, then I don't have answer for that. I feel Congress is doing more harm than any other political party, and BJP is doing less than any other major political party. Yes. This is relative. It is very difficult to debate on this point, because it never ends. Atleast, I would like to know what all points are there against BJP. With your points, I may stop supporting BJP and L.K.Advani, but, I am never going to support Congress. It had done enough bad things, and I don't prefer anything other than closing down the party. If you read about Congress closely, it had the exactly same specific policies which it had in Gandhi's time. For example, 50 years back, if a party was saying "India is a poor country". If the party ruled India for 50 years, and still saying the same thing, it means it did not develop India from economic point of view. Apply the same thing on caste/religion/locality, and divisive politics. I liked your article On Godse, Gandhi, and Hindutva. I realized that, we need hundreds of Godse's to stop dividing the country. India is in the same or worse situation now. We need many more Godse's to stop all the discrimination in the entire India. That's why whoever is doing less harm, I am favouring them. I can agree to your point on you not supporting Congress. It is the opposite for me. I can never support BJP since i believe that they are communal. I totally agree that Congress in 70s, and 80s pushed India down but i trust this current Congress govt. You are right to day that most of the caste based division has happened during Congress and it has to stop. Yes, we need more Godse, but there is no single Gandhi at the moment, there are many and we can not go killing anybody. The sad part is that no political party opposes these reservations because if they oppose, they will loose votes. The only way i see is to get in power, make such decisions and loose the next election. Some party has to do this sacrifice. I do not see either Congress or BJP doing so. This site has got articles from Hindu intellectuals who define what hindutva is, what dharma is and many other things. All the books are uploaded to be read for free. I read some chapters on the book on Hindu temples, and it was quite good. I agree that, Manmohan singh and Chidambaram are better than most of the leaders in Congress. But, Manmohan Singh and Chidambaram did not have any control in most of the things. It is known fact that Sonia Gandhi controlled the entire UPA, except very core economic principles, which a comman man cannot understand. UPA introduced OBC reservations in national educational institutions, which is in backward direction. Of course, Arjun Singh was the culprit. 70,000 crore rupees of farmers loan was waived. They could have done much more with that money for farmers. I don't think Manmohan singh and Chidambaram personally liked that. But, they did not have any other option. They could not control anything. If they were given control over those, India would have been in much better position. Most of the examples that I gave are for the present Congress government in Andhra Pradesh. They have introduced the reservations for muslims. They have raised issues for further categorization in castes, and it is causing violence in those communities. They have brought policies where people in one part of Andhra (Coastal and Rayalaseema) should work only in that parts, and not in the other part (Telangana). I can list so many about this Congress government. Sonia Gandhi and other major congress leaders praise the present Congress government as one of the best governments. But, if the same government continues for another 5 years, Andhra Pradesh will go bankrupt, and the state would be worse than any other state in India. Of course, at the national level, this is not this much worse. But, if all the states face this problem, then entire India will face this problem. That's why I am so much against Congress party.